VF lined-up for the third round of the 2018 Formula Renault Eurocup season this weekend at Silverstone. The team, led by Adrián Vallés, faced a tough task on British soil, as bad luck prevented drivers from securing their first points of the season. Mexican Axel Matus completed a promising recovery in race 1, ending up in P14 after starting from the 25th spot on the grid, while Eliseo Martinez finished 17th. There were good improvements on Sunday, with Christian Munoz scoring the 9th fastest lap in his qualifying group. However, he was forced to retire late in race 2 after being hit by a contender while he was 13th, not far from the top-10. Team-mates Matus and Xavier Lloveras were also involved in racing incidents and could not get to the finish. As a consequence, Eliseo Martinez was the only AVF driver to take the chequered flag in race 2. There's still no time to rest for the team as the next round of the championship is scheduled for the coming weekend. 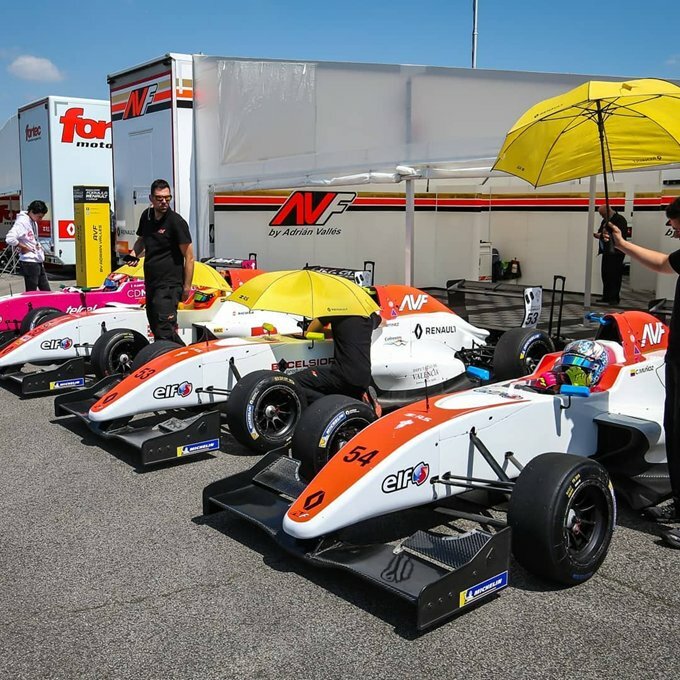 The Formula Renault Eurocup series will be racing between the streets of Monaco for the most anticipated round of the calendar, supporting the famous F1 Grand Prix.